The Geunhee Yu Covenant Fund was established in 2012 at the 17th biennial NAPAD Convocation to perpetuate the legacy of Rev. Dr. Geunhee Yu, the first Executive Pastor of NAPAD who served from 1992 until his retirement in 2011. Rev. Dr. Geunhee Yu continues to inspire us with his tireless servant leadership and unwavering passion for new church development. The Geunhee Yu Covenant Fund aims to provide grants to support new NAPAD churches in their efforts in becoming sustainable and mission centered congregations. The Harold Johnson Legacy Fund was set up in 2014 at the annual meeting of the NAPAD Board of Directors to honor the legacy of late Rev. Harold Johnson, who was dearly loved as the “Grandfather” of NAPAD. During his ministry, Rev. Johnson sought to create a more inclusive environment to uphold the gifts of Pacific Islander and Asian Disciples. Rev. Johnson’s ministerial legacy continue to challenge us to create an inclusive diverse community for Pacific-Asian groups, women leaders, youth and young adults. 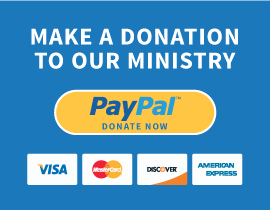 The Harold Johnson Legacy Fund aims to provide grants to support the development of robust ministries for youth, young adult and women in NAPAD churches. The Deadline for the 2019 Grant is October 31, 2018. Conditions of eligibility will be stipulated in the application form.